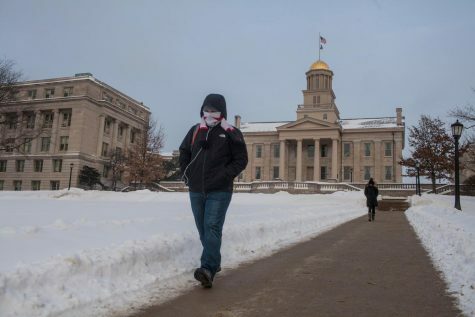 The University of Iowa issued a Hawk Alert on Monday afternoon notifying the campus community that classes will be canceled because of this week’s extreme weather forecast. Online classes should continue as planned, the UI said in a tweet. 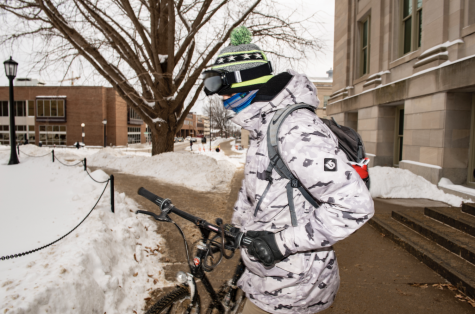 UI student Bennett Cournoyer locks his bike outside of MacLean Hall on Monday, Jan. 28, 2019. Temperatures had reached the low teens by Monday afternoon and are expected to drop as low as -50 on Wednesday. “Faculty are free to work with the students to find an alternative time and method for delivering course content as needed,” the tweet said. 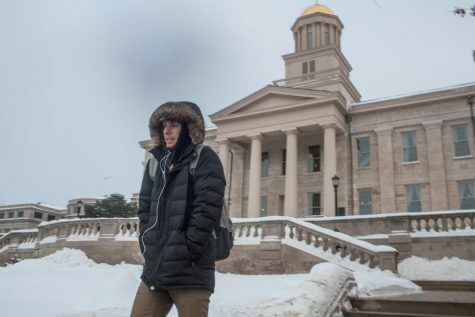 Classes will be canceled from 5 p.m. Tuesday through noon on Thursday for the Iowa City campus, the Hawk Alert said. The Nite Ride Express will offer free rides on Tuesday and Wednesday evening because of the extreme weather, according to a tweet from the UI police. The high temperatures for Tuesday, Wednesday, and Thursday, respectively, are two degrees, 13 below zero, and zero degrees. The low temperatures could reach 22 below zero, 31 below zero, and four below zero for each day. In an email to students, Vice President for Student Life Melissa Shivers said that, except for classes, the UI will continue to operate in according with the UI Operations Manual. The manual states that all essential services will remain open, including UIHC, Housing and Dining, and the Department of Public Safety. 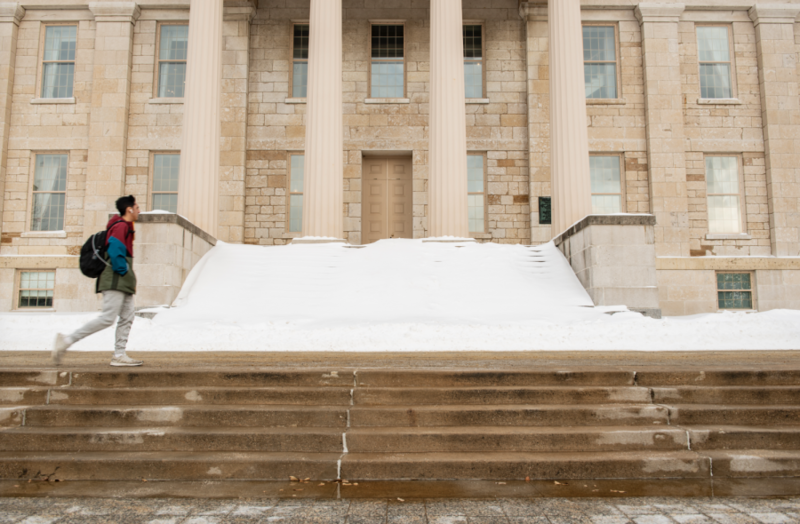 The last day classes were canceled for weather was in December 2009, UI Media Relations Director Anne Bassett said in an email to The Daily Iowan. The policy also includes information on how to deal with winter weather on campus, such as taking the bus as the weather gets worse. There is also a jumpstart service offered on the UI’s main campus seven days a week by the UI Parking and Transportation Department. Previously, the record low temperature for Jan. 29 happened in 1966 when the temperature dropped to 22 below zero. For Jan. 30, the record low was 21 below zero in 1904, so this Wednesday’s temperature could hold the record. 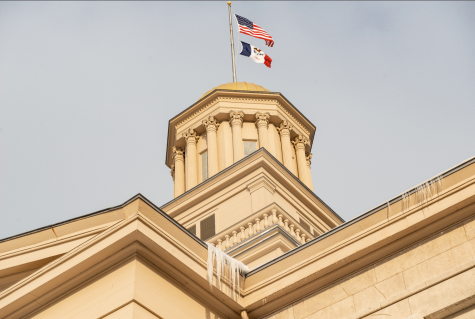 On Wednesday with the wind chill, temperatures may reach as low as 51 below zero in the Iowa City area. In these temperatures, frost bite can affect a person within 10 minutes. Record low temperatures for Jan. 31 was 18 below zero in 1996.